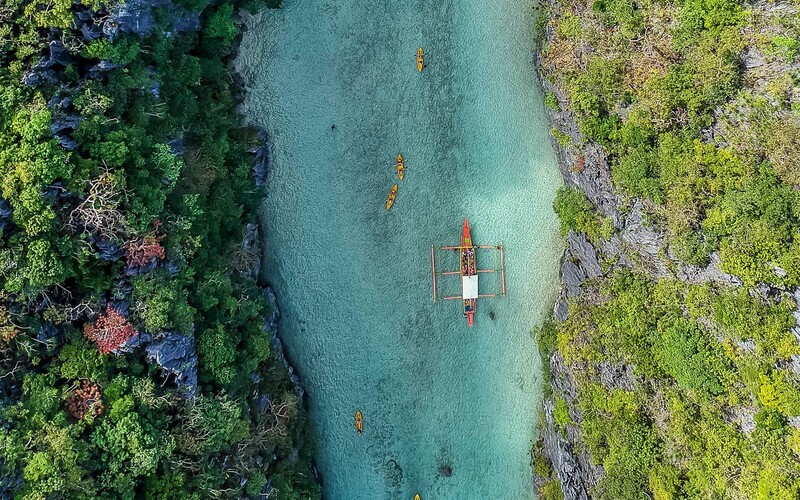 Having been dubbed the world’s best island in recent years, the “last Philippines frontier” of Palawan is finally getting the recognition it deserves for being a really, really, ridiculously good-looking travel destination. 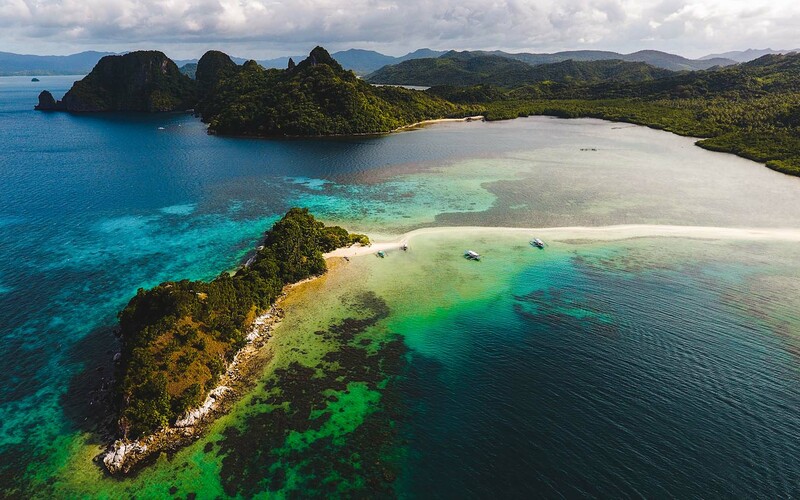 Home to uninterrupted beaches, turquoise lagoons, World Heritage-listed coral reefs, tiny fishing villages, and 50,000 years of history, Palawan is a beach baby’s nirvana. And we haven’t even started on the people and the cuisine: if you’re into seafood curries and coconuts galore, big smiles and friendly tuktuk drivers, then Palawan is for you. The Philippines has two seasons: wet and dry. If you want to avoid those hectic tropical thunderstorms, October to May is your best bet for rain-free days. That said, the average daily temperature sits around 31 degrees, making it perfect snorkel/swim/scuba weather all year ’round. As an international traveller, Manila is your first port of call in the Philippines. 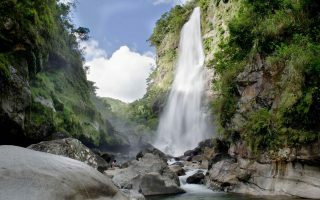 Head straight to the country’s capital and, from there, jump on a domestic flight into either Puerto Princesa (the main city) or El Nido (a beach city in the north). 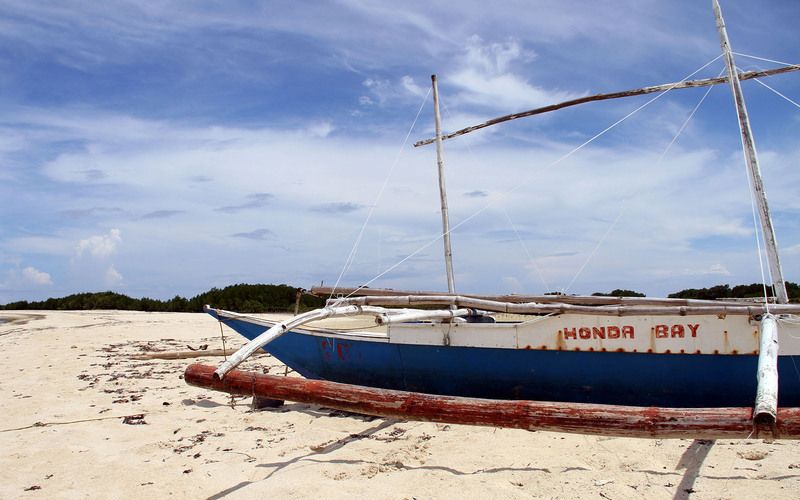 Once you’re on the ground, modes of transport to Palawan are plentiful. The bus network is top-notch, with buses running frequently, so if you don’t mind overlanding, grab a ticket on one of the mini bus routes. For shorter distances, I’d recommend hailing a tuktuk as it’s easy, cheap, and provides the perfect opportunity to chat with a local. If you’re feeling more adventurous, you can organise private sailing charters between Palawan islands. So, if you want to live your best celebrity life, get on board. Palawan is the Philippines’ biggest island, so rest assured there’s something for everyone. Want to see the purple crabs and Philippine mouse-deer? You can. Prefer to sunbake on white-sand beaches? Done. Feeling adventurous? Head off on a jungle hike, then snorkel a remote reef. Probably the most famous Palawan region, El Nido is best known as the jettison point to the heritage-listed reef on the Bacuit archipelago. Surrounded by immense limestone cliffs, crystal waters, teeming underwater life and five endangered species of sea turtle, El Nido serves up everything Attenborough promises, and then some. While it can be a fun party town in the evening, days are deserted because everyone’s on the water. With that in mind, the aim of your game here should be snorkelling. Spend your days floating above a tropical paradise, venturing into sea lagoons and deep diving down to beds of coral. If you’re after some after-hours adventure, be brave and take a guided night dive, where you’ll come face-to-face with the more elusive creatures of the Philippines deep, like seahorses, shrimp and car sharks. If you’d like a day with your feet firmly planted on the ground, hike up to El Nido’s highest point at Taraw Peak. The climb isn’t easy and will take approximately three hours, but the panoramic view over the archipelago is worth it every bead of sweat. To get there, take the seven-hour bus journey from Puerto Princesa or the fast ferry from Coron. Many people fly in and fly out of Puerto Princesa without giving it the love it deserves. It’s a thriving island city, a place where you can get from the beach to the shopping centre before your hair has had time to dry. It’s only a new city, having been established in 1970, but it’s quickly grown into a thriving fishing hub, too, meaning food here is especially delicious. Head down to the waterfront at dinner time and eat your way through the market stalls. If you’ve got a spare day or two, take a trip out to Honda Bay and the Underground River. 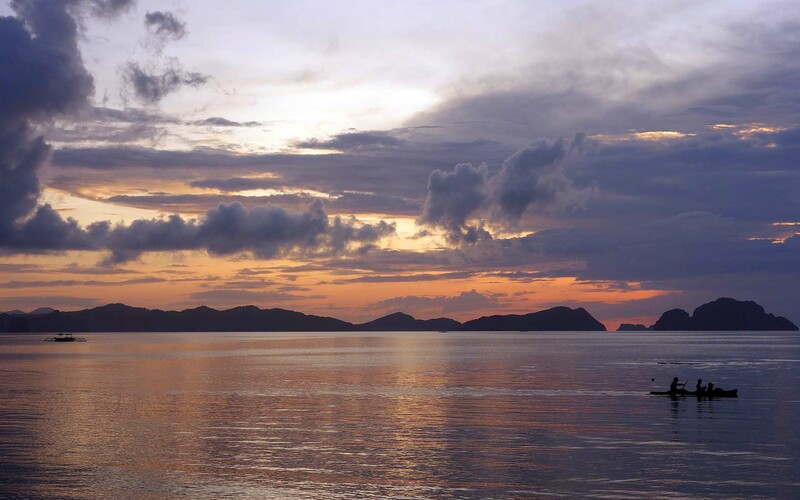 Honda Bay is just 45 minutes out of Puerto Princesa and is home to world-class snorkelling. The Underground River is an 8.2km stretch of winding water that’s been officially labelled the 7th New Wonder of the Natural World. If that doesn’t make you want to visit, I’m at a loss. 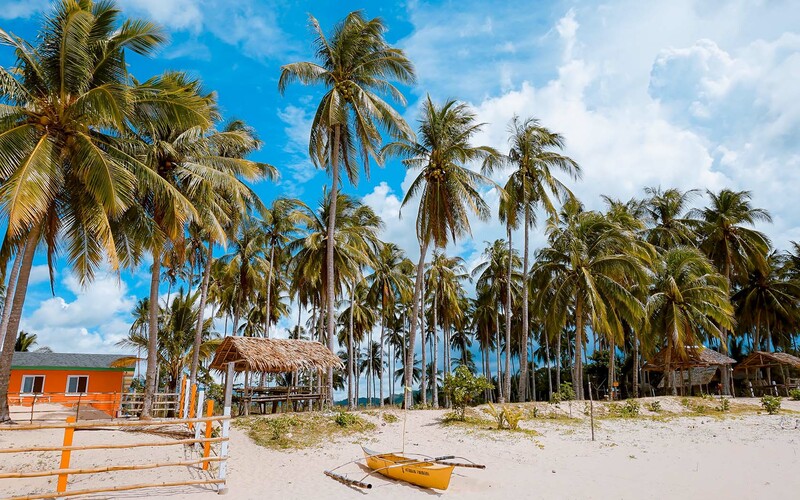 Widely considered the most beautiful beach in the El Nido area, Nacpan is a 4km stretch of warm water bordered by white sands and palm trees. It looks like everything in your Instagram feed. Don’t expect luxury here, though. Accommodation is mostly basic beach huts equipped with mosquito nets. But when you’re in paradise, what more do you need? There’s not much to do here besides swim, sunbake, read and eat. Definitely try the coconut curries, and the pina coladas aren’t all that bad, either. If you’re a culinary conqueror, test your palate on a plate of tamilok. This Philippine delicacy is a type of mollusk that lives inside mangrove trees. Basically, it’s a bowl of worms. Nacpan is an hour’s drive or motorbike ride from El Nido. Less touristy than El Nido, Port Barton is a snorkelling alternative for travellers who like a chill, barefoot village life. The beachfront is small but beautifully maintained and has been decked-out with more hammocks than humans. 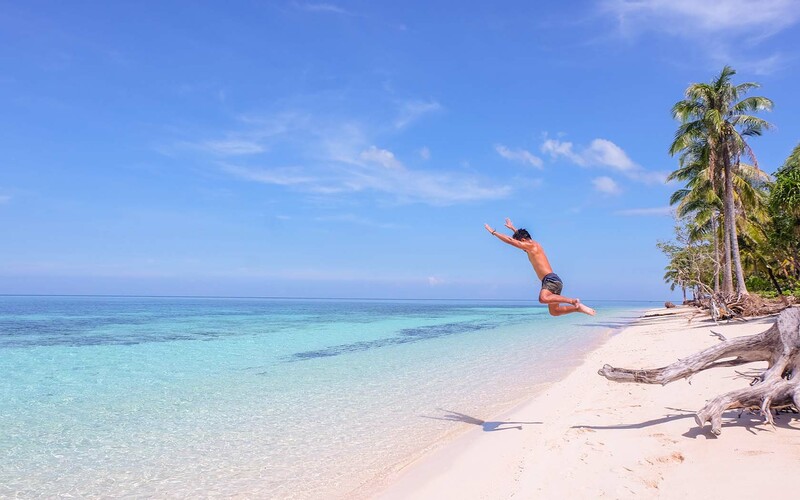 Make sure you chat to one of the local snorkel guides and tee-up a day-trip out to the coral reefs, where you can swim the warm waters, dive with the fishes or just hang off the side of the boat. If you’re a camper, get ready for heaven. You can organise a fishing boat to drop you and your camping gear on a deserted tropical island. It’s unrivalled – just remember to pack insect repellent! To get there, it’s a five-hour bus trip from Puerto Princesa. 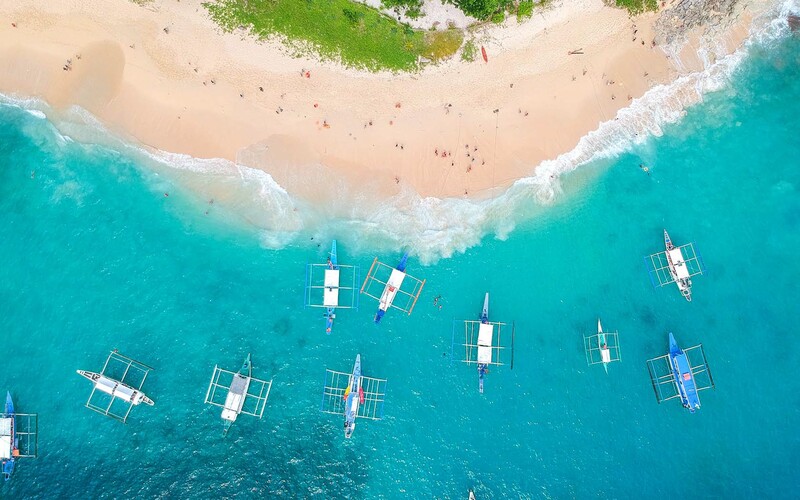 Check out Qantas flights to book your next adventure in Manila.